I was lucky enough to be given an advance copy of Lucy Robinson’s second book, “A Passionate Love Affair With a Total Stranger” to review for my blog, Amazon, Goodreads and so on. Written along with her first novel, “The Greatest Love Story of All Time” while travelling (jaunting!) around South America, Robinson’s book tells the hilarious tale of unlucky in love Charley Lambert. Charley is a brilliant communications director for a major pharmaceutical company who are about to release miracle drug Simitol. She’s successful, well-rounded to the point of being a semi-expert at nearly everything and is in the prime of her life. Oh, and her boss has finally asked her out on a date after a clumsy fumbling in a broom closet several years previous at a party. Life is grand for our Charley… until she trips down a hill and breaks her leg in three different places. Ouch! Life slows down dramatically for Charley who is banned from work and all of her “extra-curricular activities”. She’s forced to “take it easy” with her bum of a housemate Sam and watch as her job is handed over to her simpering nemesis Margot. To say she’s in a bad place is an understatement. Charley needs an outlet for her energy and focus and starts an online venture called First Date Aid, a ghost writing service for the internet dating challenged. She plods along, throwing herself into First Date Aid and helping her lackluster clients. And then comes along William, a man whose messages will change her life and the way she sees herself. I won’t go into more detail as I don’t want to ruin it, but I absolutely loved this book. Like Fran in “The Greatest Love Story of All Time“, I found myself really identifying with Charley on so many different levels. I used to be a super, on-the-go, overly stressed (semi) professional. There was always a networking event to get to or a class at the gym or whatever. Now? I’m still a professional and (probably) just as stressed, but I’ve shifted a lot off of my plate because, like Charley, I’ve realised what’s important in life. One of my favourite things about “A Passionate Love Affair With a Total Stranger” is Charley’s relationships with her friends, particularly Sam. The scene where they’re eating a dirty curry in the Mandarin Oriental in London had me in stitches. (Interesting fact: N and I desperately want to book ourselves into Claridge’s just so we can order in Dominoes for dinner. No joke.) Charley’s family is a lot like mine, so I totally got their kind of dysfunction and “crazy” as it was all too familiar. And I’m pretty sure Robinson based Granny Helen off of my Memom. Already tipped by What Shall I Read? 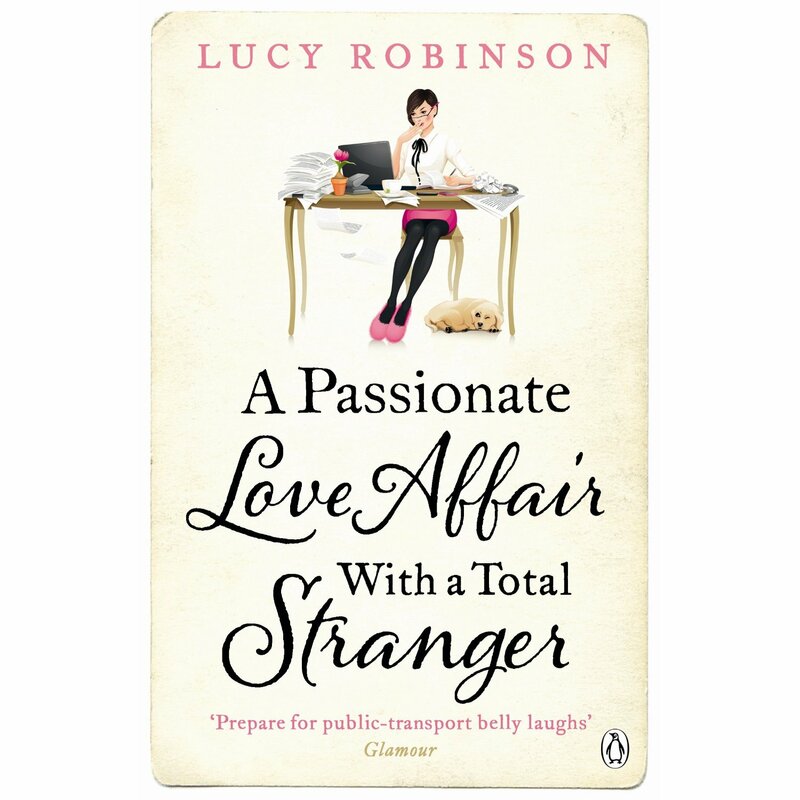 to be a must read for 2013, Robinson’s “A Passionate Love Affair With a Total Stranger” is not a book to be missed. It’s funny, lighthearted and incredibly sweet… something I know I and a lot of other people could get behind right now. I definitely plan on passing my copy over to my Memom. She may not get all of the British words and slang, but I think she’ll get the gist of it! Oh, and if you’re not already following Lucy Robinson on Twitter, why the hell aren’t you!!?? Get on it, stat. “A Passionate Love Affair With a Total Stranger“, published by Penguin, comes out on 31 January 2013. Rush out and buy it from your local bookstore or from Amazon. You won’t be sorry, trust me! And while you’re at it, you might as well pick up “The Greatest Love Story of All Time“… Fran is probably my most favourite character ever in the history of books.